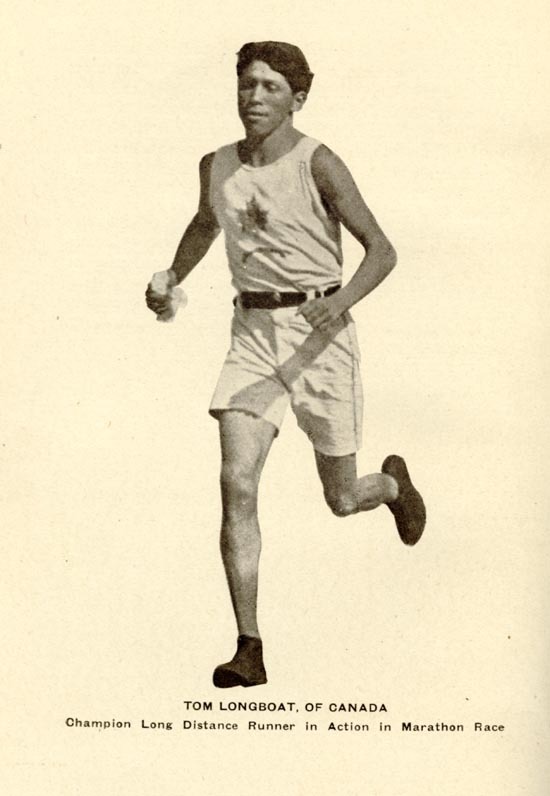 Cogwagee (Thomas Charles Longboat) (June 4, 1887 – January 9, 1949) was an Onondaga distance runner from the Six Nations of the Grand River First Nation Indian reserve near Brantford, Ontario, and for much of his career the dominant long distance runner of the time. 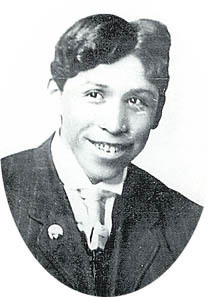 He was enrolled at the Mohawk Institute Residential School at age 12, a legal obligation under the Indian Act at that time. He hated life at the school, where he was pressured to give up his Onondaga beliefs in favour of Christianity, as well as his language. After one unsuccessful escape attempt, he tried again and reached his uncle’s home who agreed to hide him from authorities. His coaches did not approve of his alternation of hard workouts with “active rest” such as long walks. When he was a professional, these recovery periods annoyed his promoters and the sports press often labelled him “lazy,” although the practice of incorporating “hard”, “easy”, and “recovery” days into training is normal today. Because of this and other disputes with his managers Longboat bought out his contract, after which his times improved. In 1914, Longboat enlisted in the Canadian Army and served as a dispatch runner in France during World War I. He was wounded twice, and once when he was mistakenly reported as dead, his wife remarried. When he returned home after the war, things had changed. Professional racing was no longer the draw it once had been and, although he still competed in a few races, Longboat soon had to turn his attentions to making a living through other means. In early in 1949 he developed pneumonia and, on Jan. 9 at the age of 61, Tom Longboat died.